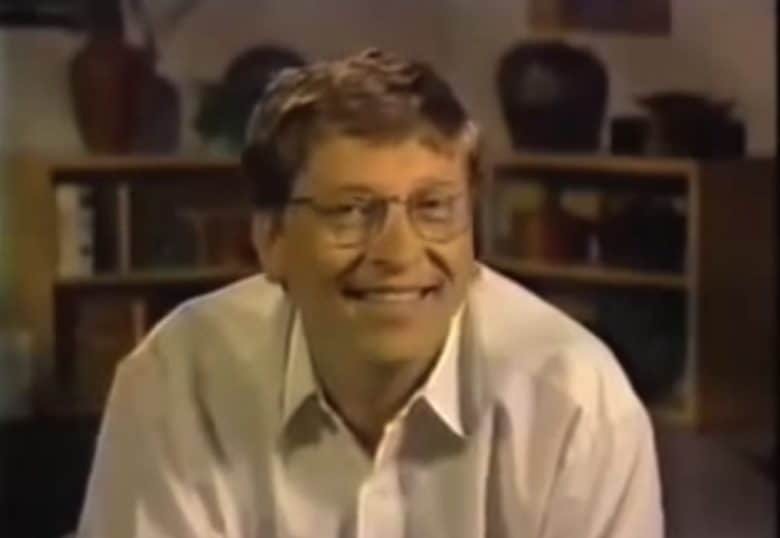 Bill Gates looking like the cat that got the cream. August 6, 1997: In one of the most famous moments in Apple history, Steve Jobs reveals that Microsoft has invested $150 million. Although often presented as an inexplicable gesture of good faith on the part of Microsoft boss Bill Gates, the cash infusion actually benefits both companies. Microsoft investment in Apple: What’s in a deal? In exchange for the money, Microsoft received non-voting shares in Apple. Jobs also agreed to introduce Microsoft’s Internet Explorer for Mac. Apple, on the other hand, got both the cash and a guarantee that Microsoft would support Office for the Mac for at least five years. While Apple was struggling at the time, it did have approximately $1.2 billion in cash reserves. Nonetheless, the cash boost can’t have hurt. Perhaps most importantly, Apple agreed to drop its long-running lawsuit that alleged Microsoft copied the look and feel of Mac OS. This lawsuit had raged for much of the previous 10 years. And Microsoft got to look a bit less monopolistic at a time it was catching the attention of antitrust authorities. As we said, everyone wins! Jobs announced the new Microsoft investment in Apple at the Boston MacWorld Expo event. This was a crucial event for Apple, since it established Jobs as Apple’s new (interim) CEO. Unfortunately, the staging was not ideal for Gates’ part of the announcement. The Microsoft founder appears via satellite on the screen behind Jobs, dwarfing the Apple boss. Many Apple fans in attendance, who didn’t know all the details of the arrangement, booed the news. Gates’ investment wasn’t the only announcement made at the MacWorld Expo. Jobs also revealed a reorganization of the Apple board of directors. Only two of the original Apple board members carried over: Gareth Chang and Edward Woolard Jr., both of whom helped depose Jobs’ predecessor, Gil Amelio. Chang, on the other hand, “turned out to be a zero. He wasn’t terrible, just a zero,” Jobs said. The most significant departure was Mike Markkula, the first major investor in Apple back in the 1970s. In place of the older board, Jobs installed a new, more favorable one. Members included Intuit CEO William Campbell, Jobs’ longtime friend and Oracle boss Larry Ellison, and Jerome York, a former CFO of IBM and Chrysler. The transition signaled the start of a major turnaround for Apple. Just 21 years later, Apple became the first U.S. company in history to be valued at $1 trillion.